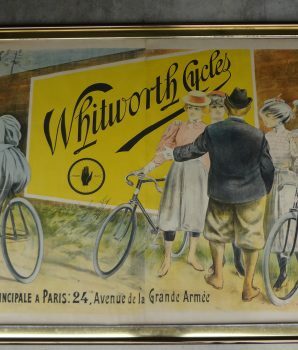 Whitworth Cycle Lithograph Advertisement in colors, circa 1894. 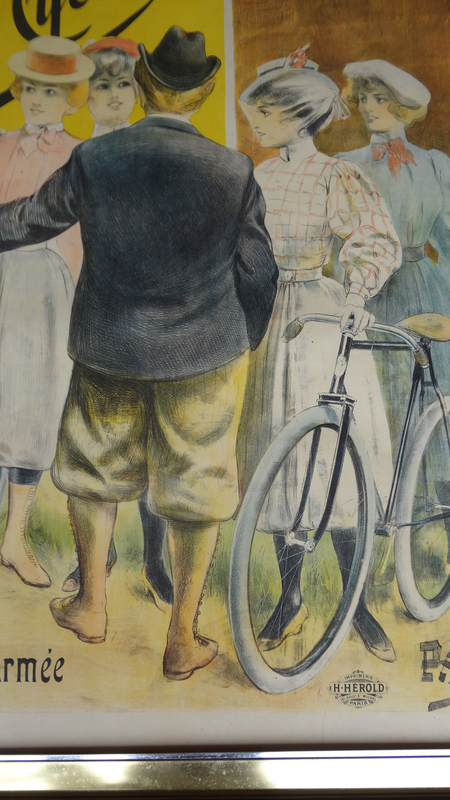 Backed on linen with an attractive gold frame. 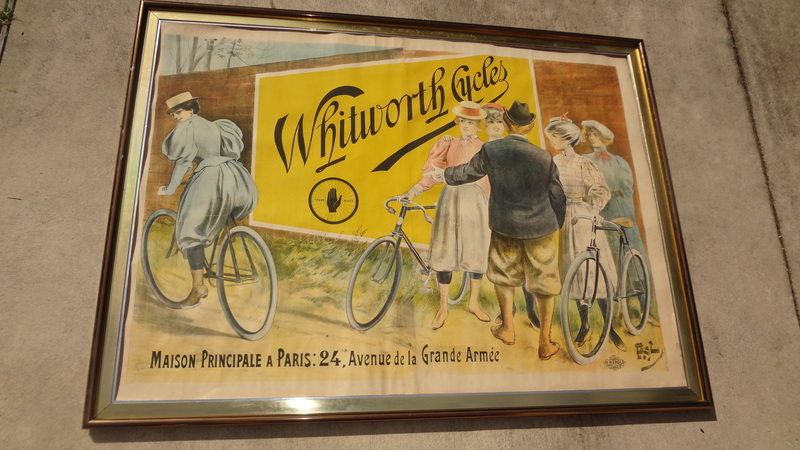 Total dimensions with frame: 82″ x 61″. 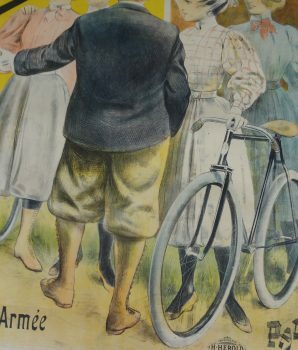 This is one of the most charming bicycle advertisements of the period. 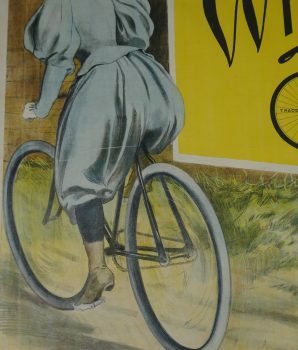 This poster has an interesting history. 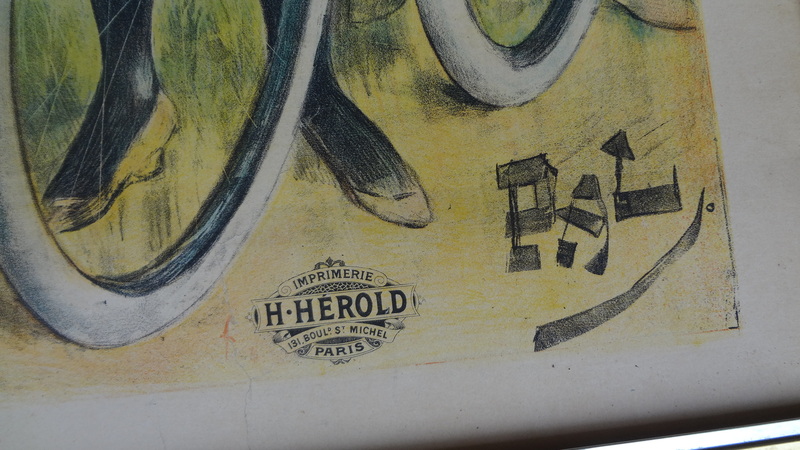 Jean de Paleologu (1855-1942), Paris, France, was a poster artist, painter, and illustrator, who often used Pal (or PAL) as his signature or logo and was active in France and later in the United States. 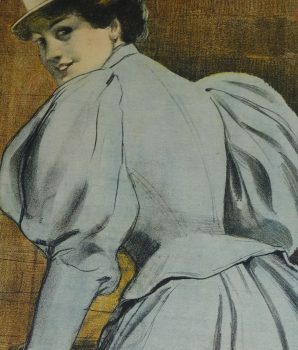 PAL (Jean de Paleologue) was born in Bucharest, Romania, in 1860. He was a distant descendant of Manuel Paleologue (Palaiologos) who was the brother of Constantine XI, the last of the Byzantine Emperors. Jean de Paleologue was a real prince. 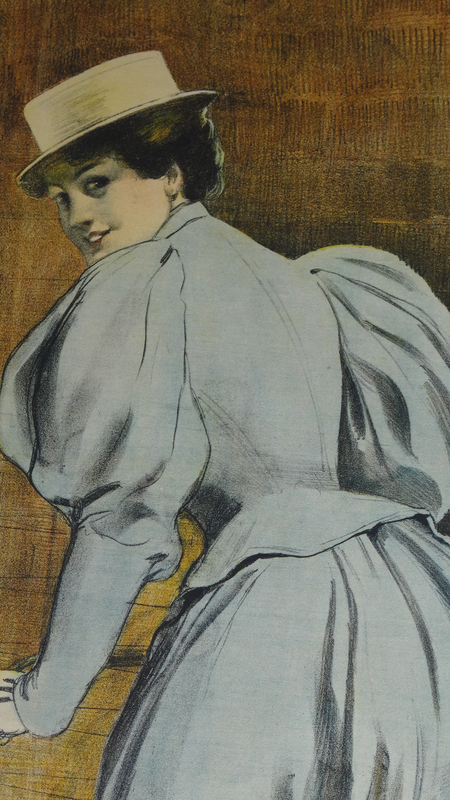 Living in Paris in 1893, he was known for his posters of beautiful women. 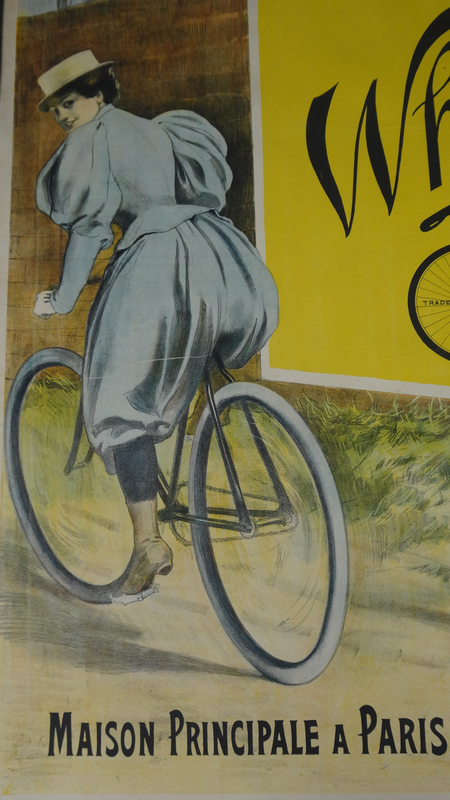 In 1900, he moved to the United States and worked in applied graphics. 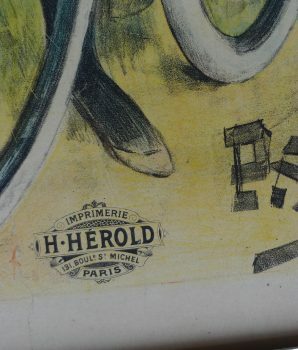 Later he developed ads and publicity for the automobile, film, and animation industries. 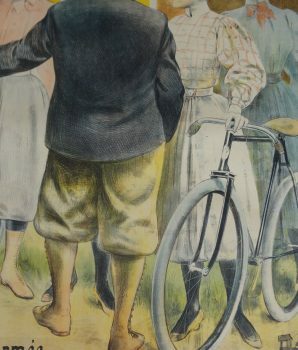 Many of his works have appeared in periodicals, including Vanity Fair, Strand Magazine, New York Herald Tribune, Plume, and other publications. 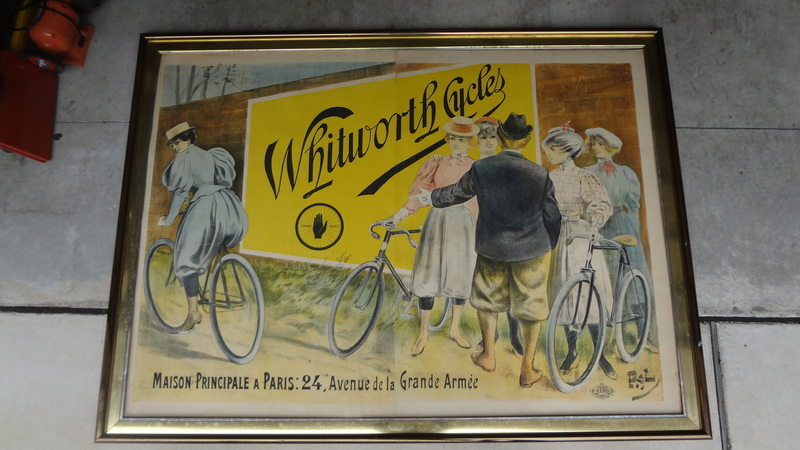 Asking $3,000 for this Whitworth Cycle Lithograph Advertisement. 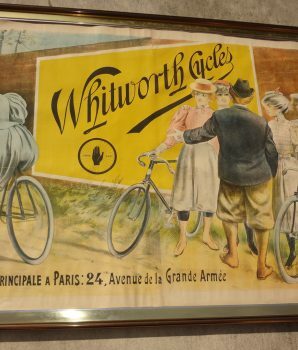 These Whitworth Cycle Company large lithograph posters are very rare and seen asking between $5,000 and $6,500. 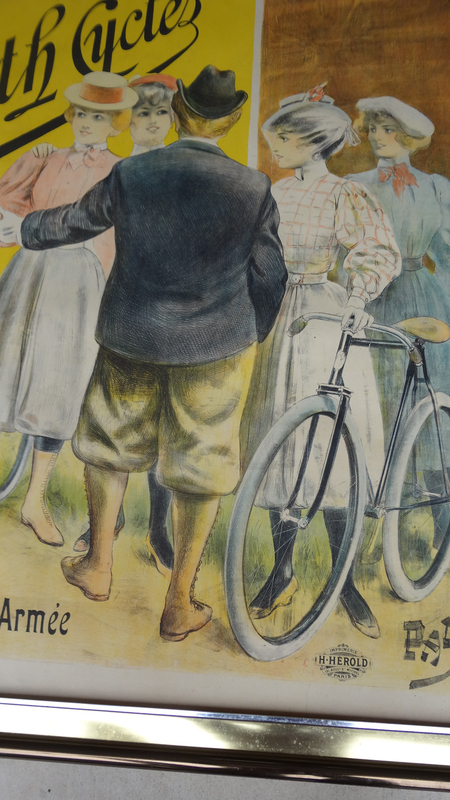 We’re offering a special price of $3,000 for this rare vintage lithograph bicycle advertisement poster.